Over 100 stills from the movie "Huapi," or "Painted Skin," were released Sunday during the 11th Shanghai International Film Festival, according to a report from Nanfang Daily. The Gordon Chan movie has amassed many big-name performers, including Hong Kong action star Donnie Yen and mainland actresses Vicky Zhao, Zhou Xun and Betty Sun, and actor Chen Kun. "Painted Skin" is a thriller centering on a vampire-like woman who eats the skin and hearts of her lovers. The film is adapted from the ancient novel "Liaozhai Zhiyi," or "Strange Stories from a Chinese Studio," written by Pu Songling in the Qing Dynasty. Actresses Zhou Xun and Betty Sun came out to promote the movie at the festival on Sunday. Zhou Xun, the ghost woman in the story, has dozens of costume changes throughout the film. Betty Sun, who challenges Zhou in her role as a swordswoman, takes on a more masculine look in a black hat and coarse cloth. Betty Sun said she had to practice hard to master the martial arts required by the plot. 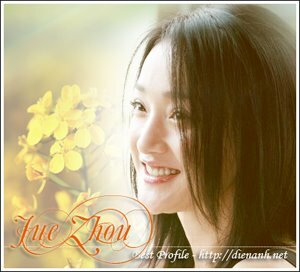 Zhou Xun was spared the effort, as many special effects were used to show off her witchcraft. The production crew of "Painted Skin" has bumped the release up to September 28 this year.